Welcome to a new blog series here at WISERD, dedicated to exploring some of the key issues with using social media for social research. This was initially conceived as a chance to outline some of the various tools that exist for collecting and analysing social media data. However, the scope of this series is now a little broader. As well developing a (collaborative) online resource for understanding the tools that are available to social researchers – their applications, their strengths and limitations – the series will also examine some of the related methodological and theoretical issues with using social media in research. This series will connect with research being undertaken as part of WISERD Civil Society over the next two years. This is a broad program of research and we hope that as this progresses, it will allow for an equally diverse conversation about the contexts for social research using social media. Early research exploring the constitution of the trade union movement in online spaces and their role in facilitating collective action has already yielded interesting findings, and these will be reported on here. On-going exploration of privacy advocacy and counter-surveillance overlaps with this and also provides an interesting intersection with broader issues of social media in the public and private spheres. Of course, the use of social media in social research is not only limited to collecting and analysing large quantities of interactional online data. This series will, therefore, also pay attention to how social media might feature as a subject of research that is not only concerned with large-scale social data and online interactions at the level of populations. 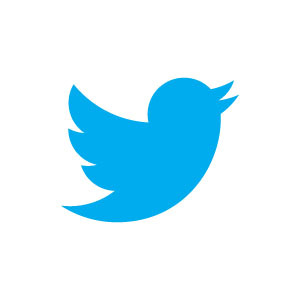 Why do individuals or organisations use Twitter? What are the personal or social benefits to using different social media platforms? What are potential impacts of social media use for privacy in the 21st century? How are social media misused? These questions and many more point to the breadth of issues that social researchers are engaging with in the context of social media. These blogs will also tie in with training and capacity building events hosted by WISERD. With the wealth of tools available for collecting and analysing a bewildering array of social media data, knowing where to begin, and how and why to use them is important for researchers in academia and beyond, as well as for other users of research data. The first of these training events took place on the 1st September, co-hosted by colleagues from the Social Data Science Lab in the School of Social Sciences. This one-day event provided an introduction to using social media in social research, exploring some of the key issues in using social media data. We also demonstrated two platforms (COSMOS and NodeXL) for collecting and analysing these data. A full write up of the day will follow in a subsequent blog for this series but on the whole, the interest we saw in this event, not only from academic colleagues but also public and third sector organisations, was encouraging and we will look to put on similar events in 2017. Watch this space, as the saying goes. Depending where you look, you may also find another ‘V’ in the form of ‘visualisation’. This is certainly relevant to social media data. The ability to display networks, like the one below, that illustrate real-time connections and interactions between people online is valuable for social research. Yet this also raises the question of how best to do this? How can we lay out networks that accurately and effectively reflect the object of our research? I’ll come back to these questions and others throughout this series. In the meantime, do get in touch by email or Twitter (of course) if you are interested in civil society and social media – it would be great to hear from you.